In this chapter, I will first consider the mechanics of organ and tissue injury and then go on to discuss the mechanics of tissue growth and resorption. 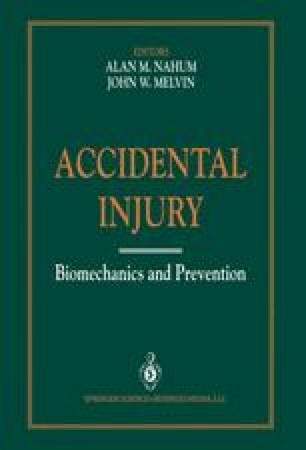 The former is relevant to understanding accidents and to engineering designs to avoid accidental injury; the latter is relevant to treatment, healing, repair, recovery, and rehabilitation. Tissue injury, repair, and growth are all related to physical stress; that is why mechanics is important. The body’s response to physical stress is biology. The computation involved in learning how large the stress is mechanics. The design of vehicles or equipment to impose proper stress or to avoid excessive stress is engineering. Mechanics connects engineering to medical arts. The more we know mechanics, the better the job we can do at both ends.